Discussion in 'UFOnauts' started by wwkirk, Mar 23, 2019. Dr. Michael P. Masters is interviewed on the Paranormal Podcast. Well I spoze it's new to some people. The idea is older than I am. Works as well as any, given the little we actually know about where they come from. I like the "all of the above" theory. People from other planets, arriving in metal space ships they manufactured? Sure. Interdimensional beings who might appear as angels or dragons or insects or flying saucers or jellyfish? Why not? Time traveling toursists? We have just about every other kind where I live. Interdimensional beings arriving in contraptions our senses interpret as flying truck mirrors? Who am I to tell them they can't exist? Interdimensional beings who arrive via metal space ships they built? Okay. Weird looking people who get here through some kind of wormhole or something? Sounds like a lot less trouble than the other ways. Natives of some higher order who need diving suits to visit what looks like an 8-bit world to them? Hmmm. Interesting. They don't even have to be aware of one another. It pains me to say this, because time travel stories are my favorite...and there are some things that I would like to change about the past...but I don't think that time travel is possible. I spent years examining the subject of closed timelike curves (the technical term for "paths through spacetime that can lead to the same position in space at an earlier moment in time) and I found a fundamental flaw in the reasoning behind them - specifically a flaw in the current interpretation of the special theory of relativity, which is also the foundation for the solutions in general relativity that have theoretically led to discussions about causality paradoxes and closed timelike curves. I've written a paper that provides a new interpretation of special relativity, which also happens to close the loophole that permits causality paradoxes and travel into the past. One concept that people believe can offer travel to the past goes like this: you start with a wormhole in spacetime. A wormhole has two ends, and travel through the wormhole from one end to the other is instantaneous. So the idea is this: take one "mouth" of the wormhole...and you can either take it on a very fast ride close to the speed of light, or you can take it into the gravity well of some superdense object like a neutron star or close to the event horizon of a black hole so that relative to your starting point time passes more slowly for this mouth of the wormhole...and then bring it back to where you started alongside the other end of the wormhole that stayed put. The idea is that the end of the wormhole that you took close to the speed of light or deep into a gravity well, has aged less than the other end of the wormhole, because of relativistic time dilation (the Grandfather paradox). So for instance, let's say that the end of the wormhole that stayed near the Earth, hung out there for 100 years. The other end of the wormhole that you took on the journey experienced time dilation, so it only aged perhaps 50 years by the time you bring it back and put it next to the other end of the wormhole that stayed at home. The logic employed here says that now if you go into the end of the wormhole that stayed near the Earth, the other end of the wormhole has only passed through 50 years of time, so you emerge from that mouth of the wormhole 50 years in the past...50 years before you entered the other mouth of the wormhole: i.e., your wormhole is now a time machine. I think that's wrong. I think that time dilation only applies to matter and energy, not spacetime itself. So in my view, the apparatus that's holding open the mouth of the wormhole that traveled, simply aged 50 years less than the apparatus holding the other end of the wormhole open: the spacetime itself remains unchanged because spacetime isn't "stuff" like matter and energy. So you emerge from the other end of the wormhole into the same spacetime that you left behind. One end of the apparatus is younger than the other, but that's it: no time travel. And by the way: I can't for the life of me figure out why some people are perfectly willing to accept theoretically radical ideas like human beings travelling back in time from the future, or that beings from other realities are somehow crossing universes to get here...and yet vehemently resist the much simpler explanation that other technological civilizations are dropping by from neighboring stars from time to time, using spacecraft that employ gravitational field propulsion technology (which we already know about theoretically, and which permits superluminal spaceflight between the stars). Especially today, the evidence that we have for billions of warm habitable Earth-like worlds in our galaxy alone - which are on average 2-3 billion years older than our planet - is incontrovertible. I don't completely rule out anything without a solid empirical reason to do so. But physicists at the Large Hadron Collider have looked for any evidence of extra dimensions for many years now, and all of those experiments have come up empty - so the evidence arguing against extra dimensions has grown enormously, and no evidence has emerged in favor of them. And the idea of alternate realities remains little more than a wide-eyed daydream, so there's no reason to consider that idea seriously either...at best it's a whimsical possibility (primarily because nobody has any idea how to test for the existence of an alternate reality - it's an unfalsifiable idea...which many scientists would argue, renders it an unscientific idea). Why are so many people so eager to jump through crazy hoops to find an explanation beyond the most obvious logically and empirically compelling one? Is the idea of intelligent life visiting our planet from interstellar distances not strange enough for these people, or is it too strange? Often, frankly, they can't seem to make up their minds about that...they simply hate the idea of the ETH because it's popular and it makes complete sense (and I get the distinct impression that many people are revolted by the idea that the universe makes sense). the much simpler explanation that other technological civilizations are dropping by from neighboring stars from time to time, using spacecraft that employ gravitational field propulsion technology (which we already know about theoretically, and which permits superluminal spaceflight between the stars). How realistic is this? Mainstream sources, to my knowledge, still describe superluminal spaceflight as impossible. And this is the main reason Masters rejects this option. How optimistic someone is about FTL travel depends on whether the person thinks it is truly contrary to physical law or is just out of range of present day science/technology. Personally, I am hopeful that superluminal spaceflight will be proven possible eventually. But not everyone thinks this way. In relation to the above, here's a fun article that ranks alternate Sci-Fi FTL travel technologies in terms of plausibility. What's your main point? Is it the bodily form of the aliens? If so, how do you rule out evolution (including artificial manipulation) taking humans beings in a new direction in the very distant future? Ah, well, I understand that fashions change . . . but geesh . . . It's interesting to see the debates about this subject, because nobody argues with the central point: if you create a spacetime metric with the geometry that Alcubierre described mathematically in the language of GR, a craft placed inside the field will be accelerated to any speed - even superluminal speed - as long as that metric is maintained, and it'll arrive at its destination with no time dilation. So all of the various objections that have been raised pertain to the challenges of creating that spacetime metric and maintaining it. The fundamental physics of the concept itself are proven. So as I see it, we're in a similar position now as we were in around the year 1900 when we would talk about manned spaceflight to the Moon: we could mathematically demonstrate that it is in fact theoretically possible to get a man to the Moon, but if you're looking for reasons that it can't be done, then you could "prove" those mathematically as well (for example, if you don't postulate using a rocket with stages, then the fuel requirements are unrealistically enormous which makes the idea seem impossible). But the challenges with producing the Alcubierre metric are greater for us at this point because we don't even have a gravitational field technology yet - at least in the year 1900 we had a working combustion technology. A lot of people - even many scientists and engineers, can't foresee the advent of gravitational technology. 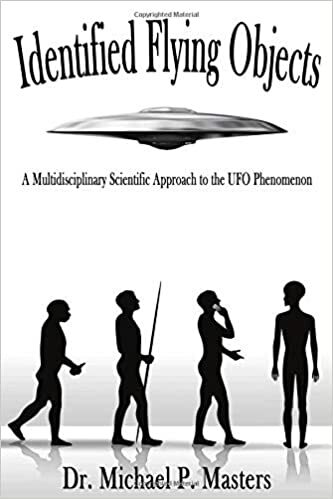 But those of us who take UFO/AAV reports seriously have a distinct advantage over those folks, because if any of the UFO cases that we study are legit - such as the Nimitz Tic-Tac case, then we already know that gravitational field propulsion technology is achievable because two of our top fighter pilots and a Navy radar operator who observed the device, reported precisely the unique key signature performance characteristics that our theory of gravitational field propulsion predicts, primarily, lift without any emissions and extremely dramatic accelerations. Theory predicts those characteristics. Reaction propulsion of any kind, on the other hand, cannot explain it. Wikipedia isn't a good source for theoretical physics because the mainstream community moves pretty slowly, and this subject is advancing pretty quickly. For example, you'll see lots of objections based on exotic matter. 25 years ago, exotic matter (a purely hypothetical form of matter that probably doesn't exist) was the only known solution for producing the negative spacetime curvature (aka antigravity field) that the Alcubierre metric requires. But in 1998 astronomers discovered dark energy, which proved two things: 1.) antigravity is physically real in this universe (so the positive energy theorem doesn't mean that antigravity is impossible after all), and 2.) antigravity doesn't actually require exotic matter - our best model for dark energy today involves a positive energy field causing a negative gravitational field. And in 2016 Manu Paranjape showed that a bubble of matter with sufficient tension could produce a negative gravitational field, per the pressure terms in Einstein's stress-energy tensor. I'm not saying that it's going to be easy, but these kinds of considerations point in favor of the advent of this kind of technology, eventually. It's certainly far too early in the game to go around calling it "impossible." And if a single case like the Nimitz case is legit, then we've already seen the proof that it can be done, and we just figure out how it's done. When most people see words like "speculative" and "hypothetical" they seem to think "impossible." But all of our technology today was speculative and hypothetical, before it wasn't. After all we've seen - from manned spaceflight to probe missions to Mars and even beyond the solar system - I think it's stunning that so many people seem to think that "something we haven't figured out how to do yet" means" we'll never figure it out." Well it's definitely not contrary to physical law - the last such objection raised at the theoretical level was the positive energy theorem, and we now know that's inapplicable, because dark energy is real and that's an antigravity effect that exists in our physical universe, so we now know that antigravity is literally all around us. In my opinion that means that one day we'll learn how to produce antigravitational fields technologically. And AAVs seem to prove that others have already figured it out. More people should think that way, because we're awash in reasons to do that. Imagine how stunned somebody from the 19th century would be, if they could see the world we live in now. That's just a bit more than one century, and technological progress is accelerating. It's literally unimaginable what we might achieve in another century, let alone five centuries, or 500 centuries - and cosmologically, even 500 centuries is right around the corner. Unfortunately these kinds of ratings systems are only as good as the physicist who writes them - I actually enjoyed that piece, but frankly it's kinda silly to try to place a number on something as radically unpredictable as "plausibility," which is at best limited by the prevailing mainstream viewpoint. I wonder how "plausible" a man walking on the Moon would've seemed to be, to a physicist in 1850. My point is very simple: as difficult as superluminal spaceflight may seem to be now, we know that time travel into the past will be much more difficult, if it's possible at all. Most time machine concepts, like wormholes, also require intense negative gravitational fields just as warp drive concepts do, and they're on an even more exotic and imo far less theoretically sound foundation. So why on Earth would anyone favor the latter over the former? That makes zero sense to me. Especially given the ubiquity of habitable worlds in this universe, and the huge and rapidly growing mountain of evidence that the conditions which led to intelligent life on this planet, appear to be common - even mundane - in this universe...and even our own galaxy. So frankly I think we should be expecting to see all kinds of strange beings dropping by from time to time, like this guy here with those freaky mouth prongs or whatever.